On Saturday 9th April the first Northern League Day is taking place, a great idea from Michael Hudson (follow him on twitter here). The idea? To encourage fans of North East football to support their local teams and fans from around the country to travel up and support the World's second oldest league, only pre-dated by the Football League. With no Premier league matches in the North East it is a great opportunity to see grass roots football. Although many fellow bloggers are meeting there, I will be watching my team Sheffield United take on one of the North East's big boys in Middlesboro. 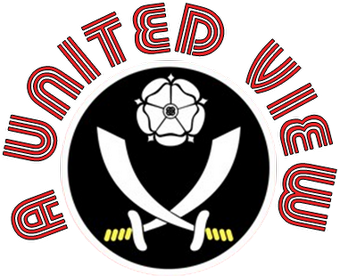 That doesn't mean to say I am not supporting the day, Sheffield United always comes first in football terms, but the Northern League is something that has interested me for many years. It played a key role in my early fascination with football. From the age of about 6 onwards, Sunday mornings were spent, sat at the dining table with Shoot! League Ladders and the results/league tables page from my Dad's Sunday People. League ladders were intrinsic in increasing my knowledge about football, teams' colours, their grounds and from there to nicknames, drawing the kits. So much so, that I have recently bought a magnetic set of league tables to try and garner my son's interest in football further. Having said that taking him to watch the Blades this season has had the opposite effect in much greater measure. It was whilst studying the leagues that the Sunday paper highlighted another world of football, leagues that barely got a mention on TV, in the classified results or on my dad's weekly Littlewoods Pools Coupon. Some names were familiar around FA Cup time, Altrincham were particularly notable for me after they knocked us out of the FA Cup in 1981-82 but also for the fact that they shared the red and white stripes. Outside of the Alliance Premier, where the leaders had a feint hope of election to the Football League, there were a host of teams in the Isthmian, Northern Premier, Southern and Hellenic leagues amongst others, all representing familiar towns and villages of middle England, or the boroughs of major cities. But one league's results always stuck out, purely for the names of the teams. Yes there were Athletics, Towns, Uniteds and Rovers, but these were different. These were just not the norm, as exotic as Argyle, but as Northern as Pie and Peas. Yet over the next few years, as my curiosity grew, there was no real source telling me the why or the how. We are talking about the days of early BBC micros and Ataris, no internet to call upon. A Rothmans book was found in the sports section of the adult library. Great for so many things but not the unanswerable Northern League conundrum. It wasn't as if there was any progression for these teams through the pyramid, the Northern League's stubborn stance on joining the pyramid meant that there was little opportunity for wider media coverage. Over time my knowledge built-up. I understood that many teams originated in the pit villages of North East England and that industrial involvement led to the name they were given and regular changes of name for some. Bedlington started off as Mechanics, became Colliery Welfare, changed to United when they joined the Northern League, before settling on Terriers. Jarrow Roofing were so named due to a sponsorship deal. Billingham Synthonia were named after a contraction of Synthetic Ammonia, a product of the nearby ICI factory to which the club had close links. Horden Colliery Welfare - well the clue was in the name. Shotton Comrades originated from the colliery social club as well. Others I am less certain about. Some, I am guessing, originated in local or Sunday league roots; Seaham Red Star, Norton & Stockton Ancients, West Allotment Celtic. As for Blue Star (RIP) I wonder if they had anything to do with the Brewery? Or is the Blue Star of a different origin? I am happy to stand corrected on any of these, or be informed on those where I am still in the dark. So that's what the Northern League means to me in my football life. A curiosity and fascination that ran through my formative years. Some unanswered questions that still niggle now. Thanks for reading. Apologies for the self-indulgence. As you were…..
Great post. Of course, both the Blades and the Boro were once in the Northern League themselves. As were my team, Newcastle United. I can help you with the stories behind some of those names. Red Star were named after the pub next to their ground, and Norton & Stockton are called Ancients to show their links to a much older club, Stockton FC, eight-time winners of the FA Amateur Cup and unsuccessful applicants for the Football League twice in the early 1950s.